Some of the websites I've administered and/or developed recently. Please feel free to contact any of the site owners for additional information about Frogabog. Rebuild for Mobile using same design & update MODX Manager with Content Blocks by Modmore for easy page building and layouts for responsive mobile. Infinity Tattoo's website was updated to be mobile responsive while maintaining the original design. 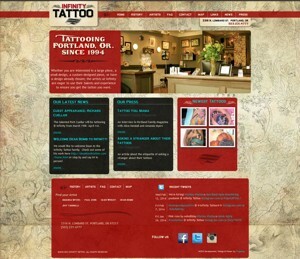 The site was re-coded from the ground up for multiple browser sizes, with a mobile target for viewing tattoo galleries. The site's SEO was also improved, and once the site went live, Google's began ranking the site in the #1 to #6 spot for all organic searches. Infinity's visitors can load multiple images on their mobile devices with swipe capability. Infinity Tattoo is hosted and developed for MODX by Frogabog. 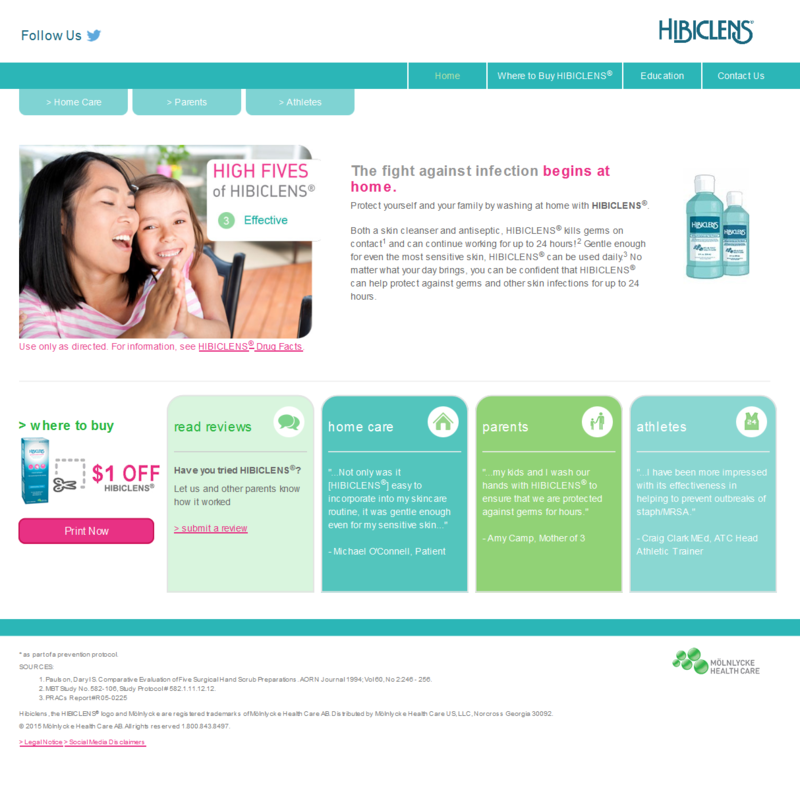 Hibiclens is a global name in anti-bacterial pre-op surgical scrub and is also sold in retail stores for use at home. This site was re-coded for mobile while maintaining the original design with IE8 compatibility. The site was built in MODX Revolution and is hosted and maintained by Frogabog. Trillium Lake Basin Cabins at Mt. Hood in Government Camp, Oregon. 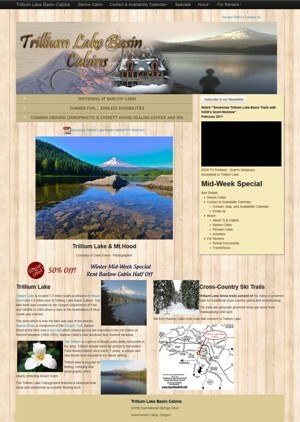 Trillium Lake is now powered by MODX Revolution and built with information about the cabin and rentals as the main objective. Trillium Lake Basin Cabins are accessible in the winter by way of cross-country ski or snowshoe via the Trillium Lake Basin trails. 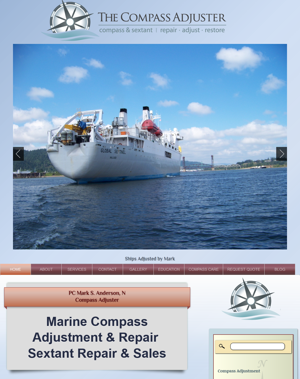 The Compass Adjuster, Mark S. Anderson provides nautical and aircraft compass adjustment and repair services for the Pacific Northwest and Pacific Coast. Providing information and educational materials was part of the main objective for this site. With MODX powering the backend, Mark can add new pages and information easily. This site also displays well on multiple screen sizes, allowing Mark's site visitors to be able to reference information anywhere, most conveniently, on the water. Use your Chrome or Firefox browser to see the full effects of visiting a site built with the latest Web Standards of CSS3 and HTML5. 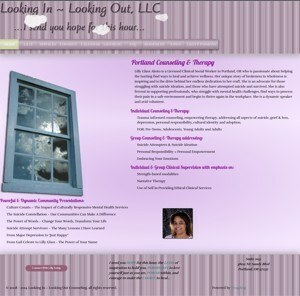 LiLo Counseling is a Portland area counseling service providing specialized counseling services for multiple specialties. Lilly Glass Akoto also provides CSWA Supervision. 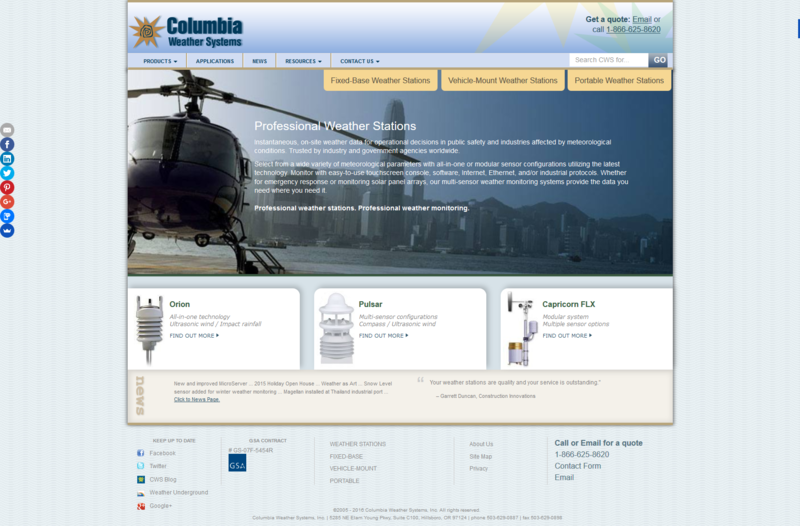 The site design and concept provides information about the services and philosophy, as well as a protected area for CSWA site members to access file downloads, professional links, and communication between site members. MODX also powers LiLo Couneling, providing the user interface to modify or create content and blog posts easily. The Everett House offers wellness spa services such as hot tub, steam & sauna, massage, floatation tanks, chiropractic, acupuncture, and other holistic healing services. It is a beautiful residential location in NE Portland, an oasis for healing and wellness. This site was newly redesigned and developed in MODX in April 2013, and in May 2013 the site visits doubled before the month was half over. A testament to the power of MODX and responsive design, without any effort specifically towards SEO, it is more accessible, has all the information people need, and is easy to navigate both on desktops and any mobile device. Check out the Everett House Specials for great deals, and mention you're referred by Frogabog for a discounted Full Facility Spa Session!